To say that I was willing to try anything to resolve my chronic health issues is not an understatement. I had tried many things, and as the years went by, I had this feeling that less and less was helping. The year I turned 40 years old, definitely did not help. By the age of 43, I was as open-minded as they come and so when Transcendental Meditation (TM) was put in my reach. I reached for this programmed method of meditation with both hands. Yes, I had doubts but I was at my wit’s end to resolve what I was ready to kiss goodbye to…namely panic attacks and asthma … both of which hit hard when they arrived and put me under every time. You can read more about why I decided to try TM here. 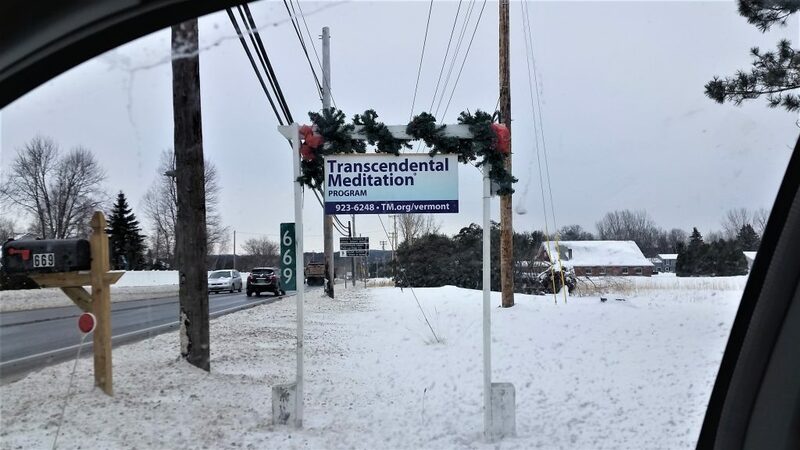 On January 8th 2018, I started a four-day TM training in Burlington, VT; a 3-hours round trip from where I live. This was the closest center to me and I prepared myself for four full days of sitting with the teacher and driving, driving, driving. Anyone who knows me knows about how much I do not like to drive. One of my health issues is low back pain that anoints me despite doing yoga for the past 25 years. Anyone who knows me also knows I despise driving more than a half hour at a time. So, when I found myself agreeing to attend a training that would entail 3 hours of driving for four days straight I knew I was on to something. We dove right in and on the first day I received my personal mantra; which I immediately forgot. It was a sound, a string of syllables that for some reason my brain was unable to grasp. The teacher promised that I would remember this mantra by the fourth day with no problem. The teacher hailed from San Francisco and had been studying and teaching TM for 35+ years. She was kind, patient, and repetitive in the teachings. Each day, we met privately to check-in on my progress and to talk about any concerns that I was having. At the first check-in we sat upstairs in a small room and I was led through my first meditation. After maybe 5 minutes I felt a noticeable shift in my energy and my entire jaw became stiff and heavy; I felt like a statue made of granite and this feeling overwhelmed me so that I opened my eyes and moved my head around a bit. I immediately felt better and when I shut my eyes again the tension was more bearable. When I told my teacher of my experience, she asked me where I felt I stored the most tension in my body on a day to day basis. Without hesitation I said “my jaw”. I have always been at fault for grinding my teeth and as an adult was diagnosed with osteoarthritis of the temporo-mandibular joints and wear a splint to relieve the TMJ present there. Ah, she smiled and told me that the body will release tension in bouts with TM, as it is a natural stress release, and so I might feel some kind of release in various parts of my body as time moves on. That once the stress moved out that was it, it was gone. That evening I meditated at home. 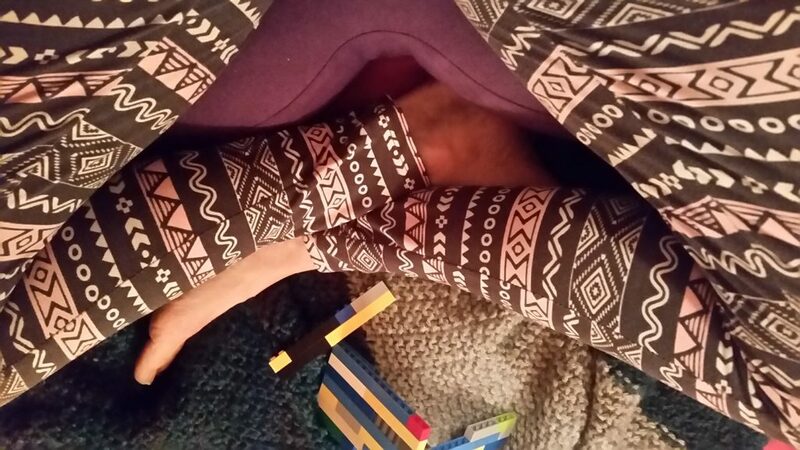 I sat comfortably while my youngest son played Lego’s upstairs. As I shut my eyes and began saying the mantra I again felt hardness come into my jaw. I continued, noticing that the feeling was not as intense as earlier in the day. For the next 5 minutes I felt a solidity in my jaw along with an overall calm, solid feeling permeating through my body. The best way I can describe the feeling is that I could almost feel my energy extend an arm’s length from my body and all around. I felt like I was radiating, emitting this solid force field of energy that was so pure and constant. As soon as I began to feel that I heard a noise that came from right in front of me and realized that my son had brought his bucket of Lego’s downstairs and was quietly playing in front of me. My cat had also come and laid down right in front of me. I felt vital in that moment and full of calm. Afterwards I went about my night. I slept 7 hours straight through that night. You might say, ‘so what, that is no big deal’. But for someone who struggles with asthma flare-ups and chronic burning nose, mouth, and eyes… being able to sleep more than an hour at once is a big deal. Huge. I was elated and woke up and did my morning meditation. I was excited to report how well I felt to the teacher and when I arrived at the center she calmly and knowingly smiled her approval. We talked for a bit and she explained that everyone has different experiences when they meditate, and mine were perfectly appropriate. Afterwards, we were led through a class meditation. Within a couple minutes my arms went heavy and my neck got that same intense feeling that I had felt in my jaw the day before. I could not for the life of me feel my arms or hands, but this did not worry me. I felt like someone had thrown a heavy blanket over me. I felt very calm. I also had the experience of observing myself sitting, rather than being the way I normally feel which is different. I have no words just yet to describe the feeling, it was an interesting feeling, I felt very conscious and aware is how I would put it. I left the training feeling solid in what I had come to do. I felt 100% confident that TM was a valuable tool and thankful that I had listened to my inner hunches and took the training. I left with my mantra firmly etched in my brain and with the words “I got this” permeating through.